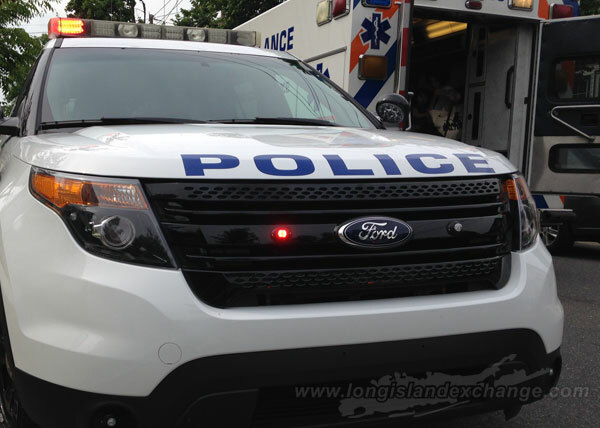 (Long Island, NY) The Homicide Squad reports the details of a fatal vehicular accident involving a pedestrian which occurred on Thursday, December 31, 2015 at 10:48 P.M. in Hicksville. According to detectives, a female aided, 67 years of age, while attempting to cross Newbridge Road, just north of Old Country Road, was struck by a vehicle being driven southbound on Newbridge Road by a female, 44 years of age. Nassau County Police reports the details of a fatal vehicular accident involving a pedestrian which occurred on Thursday, December 31 in Hicksville. Photo Credit: Chris Boyle. The operator of the vehicle remained at scene. The aided was transported to Nassau University Medical Center where she was pronounced deceased at 11:08 P.M. by hospital staff. Brake and safety checks were done at the scene. No criminality is suspected at this time. The name of the deceased is being withheld pending family notification.